1. 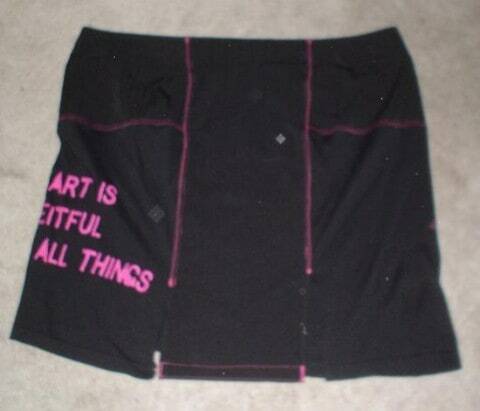 [W] Skirt From T-Shirts. There’s a few spelling errors in this tutorial, but you should be able to work it out. 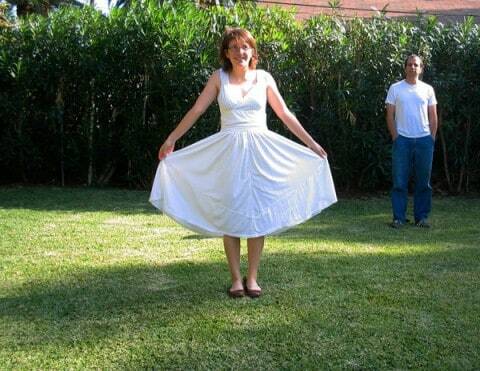 How to turn t-shirts into a wedding dress! 3. 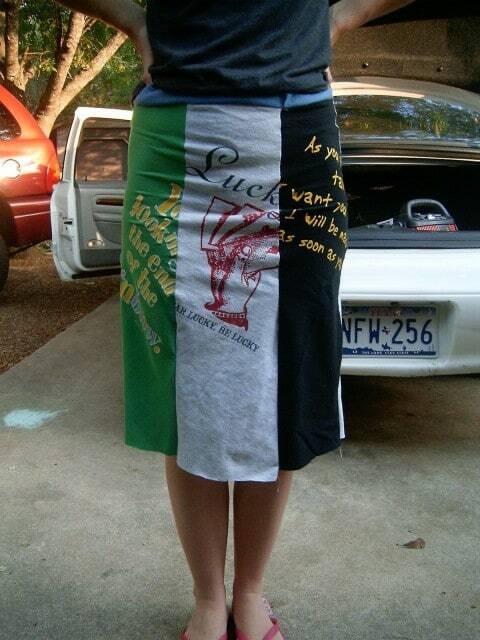 [W] Here’s an intstructable with lots of pictures telling you how to make a skirt out of a t-shirt. 4. 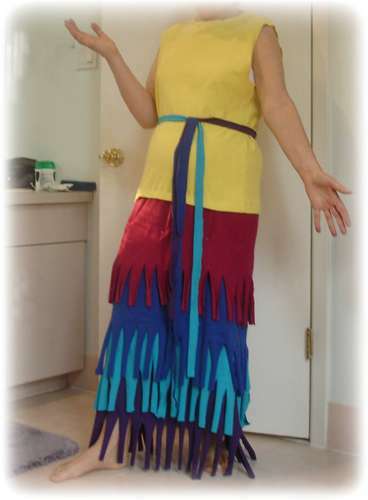 [W] Apparently you can make this skirt in under 30 minutes. 5. 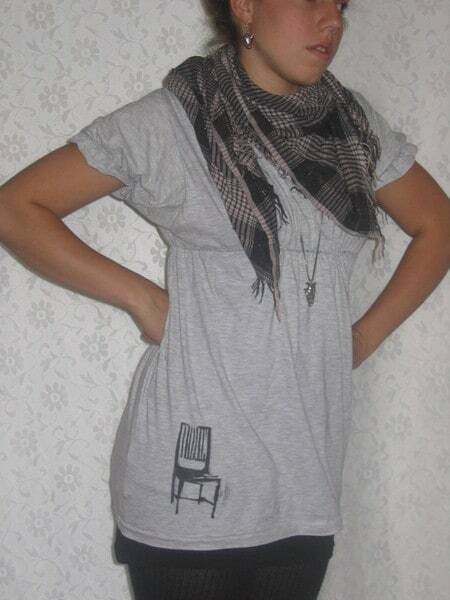 [W] Recycled t-shirt dress. There are no instructions to this project, but it should serve well for those of you that can work this stuff out and just want ideas. 6. [W] If you’ve got 5 t-shirts going spare, this is something you could make out of them. 7. [W] How to make a cute skirt out of two t-shirts. Looks like a good tute with plenty of pictures. 8. 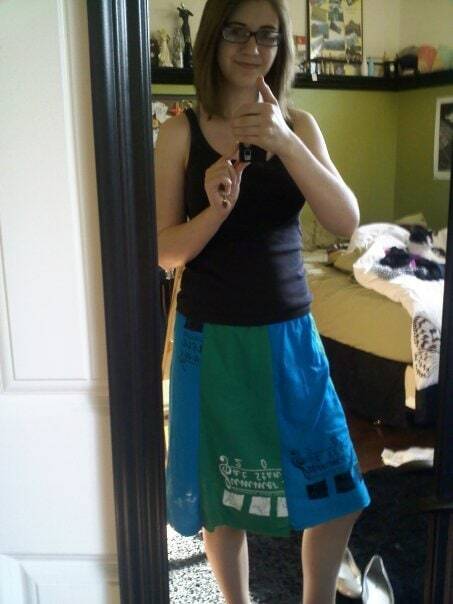 [W] I clearly don’t know a lot about skirts, since I’m a guy, but this one looks great. 11. [W] No sew dress from a t-shirt, for those times when you want to re-wear the t-shirt as a t-shirt. 14. 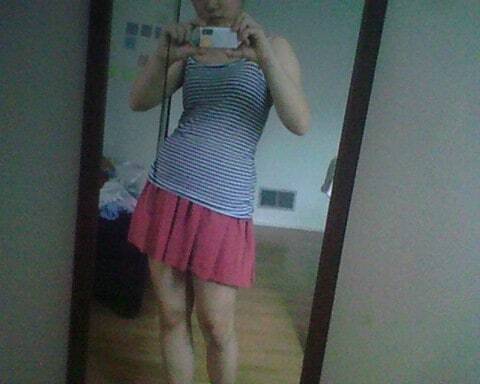 [W] How to recondition a t-shirt into a dress (and a mighty short one at that). 15. 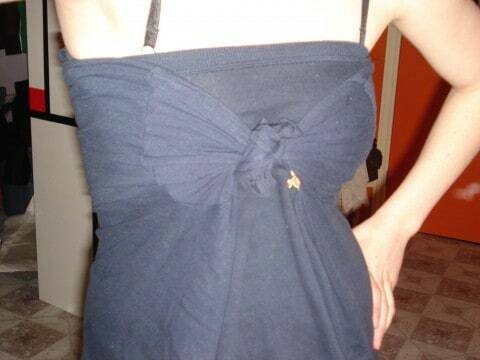 [W] How to reconstruct a dress from a t-shirt. This fifth and final page of this list (well done for getting so far!) has US and UK Amazon links to some books about t-shirt recycling and modification. No offense to her, but with Gianny L.’s tutes, it always ended up wrong. Like, epic fail wrong. All the others, I like. Excuse me, firstly, it says ““what do you do with a tee when you don’t want to wear it anymore? (and you don’t want to give them to charity for whatever reason)” that doesn’t mean I don’t want to give my t-shirts away to charity. Surprising as it may seem, I wear all of the shirts that I am sent (I receive them as gifts or samples), I have samples sent to all the other t-shirt bloggers that write for this site, and I give them to friends and family. When I’m finished with a tee, it likely won’t be in a state that a charity would want to receive it in. Secondly, I don’t care for the suggestion that I use t-shirts to exploit women’s bodies, whatever that means. I don’t know any of the people whose tutorials I’ve linked to, and I didn’t get them to take any of the photos featuring themselves (which is the only way I can possibly see any kind of ‘exploitation’ if I got people to work for me for free, which I haven’t done), these tutorials were all freely available to be found, I merely collected them together in this blog post. I completely agree! She makes it look so easy yet when I try any of her tutorials exactly the way she does them, it turns out horrible! Maybe it’s because she’s so tiny and even failed garments look good on her. LOVE THIS! Thanks for putting all these together. Being a single mother of three, two of the three being 9 and 11, this is a god sent. Of course no kid wants to look like their clothes are from a thrift store so being able to refashion what we can find is a must. I have 5 girl’s so needless to say ton’s of old T’s! Thanks for inspiring us. They just hit their older brother’s dis-guarded T’s he was getting rid of and asked me to look for some new ideas to recycle them. We will be using these sites. Thanks again, you saved me so much time hunting for ideas. t-shirts are personal keep sakes. i have tons of t-shirts that i have collected. i even have some from when i was a toddler. they are like a scrap book of memories for me. i don’t want to give up my memories. i hang them, cut them, pass down to my children, use as hankies. i keep them just to remember. the older they get the better they get. i really think your statement is out of line. i am not trying to start anything, but especially when you have “helping poor people” and “charity” in a comment we should use kind words. why did you come to this website? were you looking for a charity or looking for creative t-shirt designs? This is exactly what I was looking for. Thank you so much! Fantastic and very cool ideas, that I would’t have thought of. I have a bunch of Hard Rock Cafe tshirts from my travels that i would like to restyle. So i will have fun now with all these ideas!! thank you thank you from Nova Scotia, Canada. Well, let’s see. She could give them to charity. OR she could use them to make herself new cloths that she will wear instead of giving them away and buy new cloths which were made through the exploitation of children and underpaid workers in other countries and then shipped to her local store using less-than-earth-friendly transportation…pick your poison, my friend. Also, unless all the women in your family wear nothing but plain t-shirts, over-sized sweatshirts, and baggy sweatpants I think you need to back off on your “body exploitation” comments and steer your outrage toward people who are ACTUALLY exploiting women’s bodies instead of providing tutorials for DIY crafts. There’s also a super cool ebook about T-shirt revamping: Creativi-Tee (http://www.amazon.com/dp/B00B1GX3KG). It has only 30 projects but they’re really amazing and sophisticated. And the ebook is super cheap! Superb post. Thanks for sharing. Enjoyed reading this post. Previous post: Space Invaders Cushions!